This "hyperactive" comet is only 1.2 kilometers long but demonstrates a nucleus more active than comets twice its size. As of this publication, the EPOXI Mission spacecraft has completed its close flyby (about 690 kilometers away) of comet Hartley 2. The mission was not as informative as it might have been, since optical cameras and an infrared imager were the only instruments onboard the retargeted Tempel 1 mothership. However, as the spectacular image at the top of the page attests, visual results again provided confirmation that comets are electrical in nature. Consensus science sees comets as "leftovers" from the birth of our Solar System. It is said that after the nebular cloud from whence all was born finished condensing into our primary, and subsequently, all the planets, a mass of dust and gas formed a hypothetical spherical shell about 30 trillion kilometers from the Sun. The shell of frozen material, thought to be close to absolute zero, is known as the Oort cloud, after Dutch astronomer Jan H. Oort. 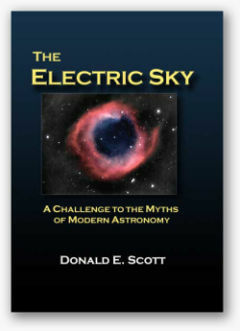 It is ironic that Oort inferred the existence of the cloud that bears his name because he only studied 19 long period comets. Since long period comets seem to arrive from deep space and exhibit extremely elongated elliptical orbits, he could not imagine any other solution than a cold repository of objects beyond astronomical observation. Note that short period comets are known to revolve in orbits that do not exceed the distance to Jupiter. More than six trillion cometary bodies are supposed to inhabit the Oort cloud. They are barely held in place by the Sun's gravity, so if stars or giant masses of dust and gas pass too close, tidal forces can change their orbits and they will plunge into the inner Solar System. Conversely, they might be drawn out into interstellar space. However, what has the latest face-to-face with a comet brought to the table? Has there been confirmation of the "dirty snowball" theory? Or, as EPOXI mission principal investigator Michael A'Hearn summarized, is this another in a series of surprising experiences? As previous Picture of the Day articles have shown, not one image of a comet has revealed frozen plains, ice cliffs, slush, or snowy crystals. Instead, Wild 2, Tempel 1, Borrelly, Halley, and now Hartley 2 look like asteroids, with hard, dry, rocky exteriors. Like Borrelly, Hartley 2 is an elongated potato tumbling through space. 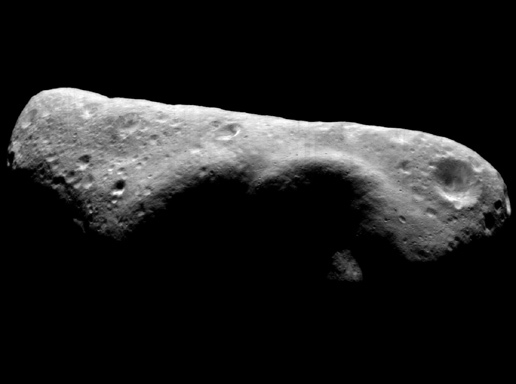 If asked, this writer would say that it resembles asteroid 433 Eros. What of the jets blasting into space from isolated regions on the comet's surface? One unidentified participant in the live streaming video of EPOXI's close approach remarked, "This is almost like Enceladus." There is no way to know what level of insight he possesses regarding electrical activity in space, but his comments were perspicacious. The jets of vapor escaping Enceladus at supersonic speed and the bright jets seen on Hartley 2 (as well as other comets) pose the same problems for space scientists: despite their contention that narrow vents or fissures are allowing vapor to escape into space, no such vents have been found. There are so-called "tiger stripes" on Enceladus, but rather than being geyser-like fumaroles, they are actually created as electric arcs move across the surface. 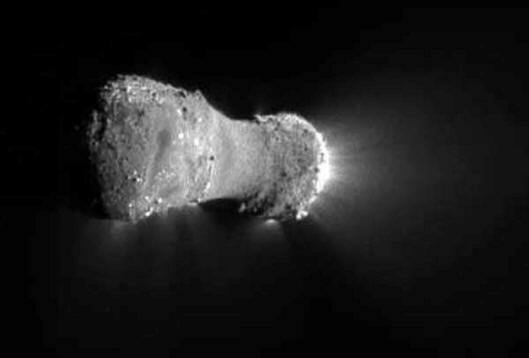 The jets on comets are most likely behaving in the same fashion. When the Stardust mission made its close approach to comet Wild 2, similar jets were found. The jets of vapor did not disperse as one would expect gas to do in space. As was reported in a Picture of the Day at the time, "Chunks of the comet, some as big as bullets, blasted the spacecraft as it crossed three jets. Wild 2's surface was covered with 'spires, pits and craters' that could only be supported by rock, not by sublimating ice or snow." 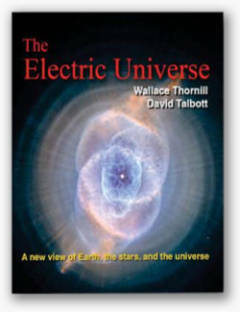 In an Electric Universe, electric comets are most likely rocks moving rapidly through the Sun's force fields. They develop plasma sheaths that can evolve into comas, sometimes millions of kilometers in diameter. Electric arcs connect their surfaces with the Sun's electric field and generate extremely high temperatures in isolated spots. X-rays and extreme ultraviolet light have been detected radiating from comet Hyakutake, for example. 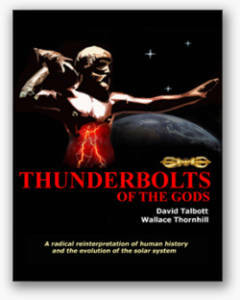 "A history of unexpected discoveries is the hallmark of a failed hypothesis. The electrical model of comets was able to predict or simply explain all of the discoveries made during the Deep Impact mission. The 'outbursts' from the comet are in the form of ‘cathode jets,’ which are bursty in nature and tend to jump around from one high point or sharp edge to another...Comets have not undergone 'an evolutionary process'. 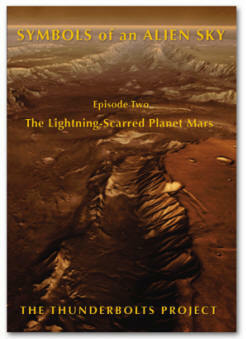 They are the debris resulting from electrical discharge sculpting of planetary surfaces. They belong to ‘families’, which characterize their parent planet."